One fast way to spruce up a new: add a new rug. 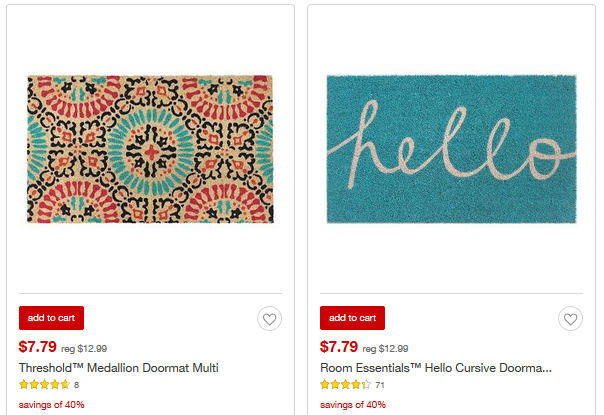 Target has 40% off rugs through tomorrow. 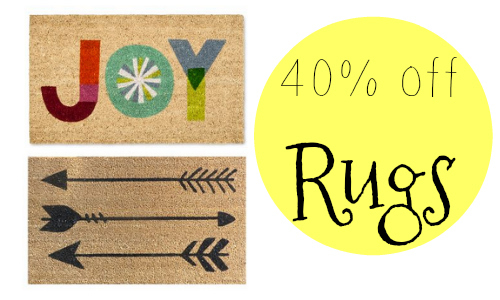 There are lot of cute rugs available in all different color schemes and sizes. The sale is valid through tomorrow, 12/10. Shipping is FREE on any order.